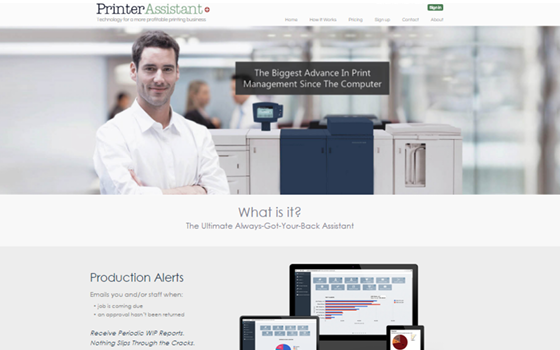 PrinterAssistant is a software platform designed for printing companies. 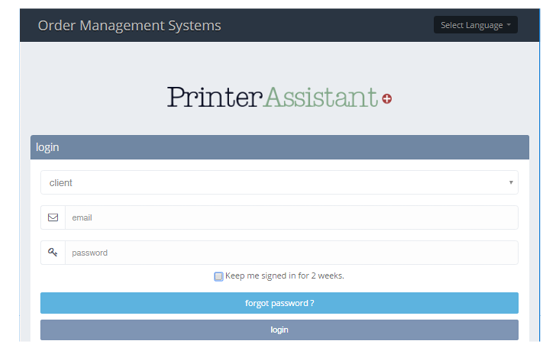 PrinterAssistant has several components that are part of the package. In addition to the SEO-friendly and responsive website that needed to be built, a whole backend cloud system was designed that would sync data from various printing companies all over the country. From that cloud-based platform, email alerts would automatically be emailed to end users and an online portal needed to be created. This portal would be accessed by the printing companies and their clients to check job status and manage their account. Lastly, a barcode reading function had to be created to streamline the shipping process at each individual printing company. A brand new responsive website was created for PrinterAssistant and it included a payment e-commerce gateway to receive payments from clients. 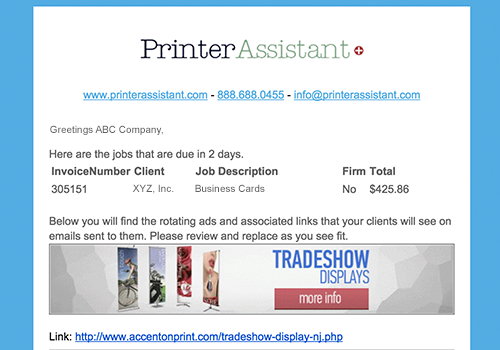 An online portal was created so that the printing company and their clients can go online and see status information about their jobs. In addition, on-page SEO was performed on the site so that prospects can find the service online. Software development was done to satisfy the complex requirements to make PrinterAssistant happen. Included in the development, was the implementation of barcode technology to make the shipping process faster and more efficient. 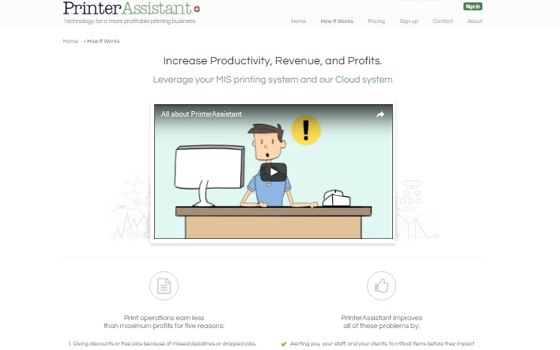 PrinterAssistant continues to be successful at attracting new clients with the new responsive website and also sells the technology to printing companies. 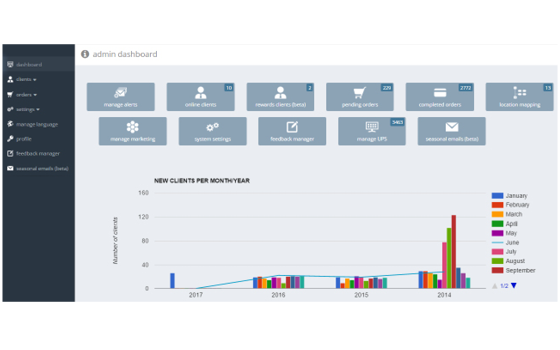 End users can pay with the custom payment gateway and uses the software platform custom-made for PrinterAssistant.